Monkey Bread is one of the sons’ favorite things to eat, and it’s little wonder why. It’s sticky, it’s sweet, and it’s basically dessert that they have permission to eat for breakfast and they get to wash it all down with a tall glass of cold milk. Think you don’t have time to make such a yummy dish from scratch? We’ve made this super simple to make, so simple you’d have to try hard to actually mess it up. Even better? This isn’t any ordinary monkey bread recipe, this one is dressed specifically for the holidays, with its typically sugary sweet, pull apart pastry and a liberal buttered eggnog cream poured overtop. 1. Mix 1/4 cup of the sugar and the nutmeg, stirring to combine. 2. Separate the biscuits and use a pair of kitchen shears to cut each one into 4-6 pieces and put the cut pieces in a large zip locking bag, or a large tupperware. 3. Add the sugar mixture to biscuits, seal, and shake well to evenly coat the biscuit pieces. 4. Transfer the sugared biscuits to a greased 6 cup bundt pan. 5. Mix melted butter and the remaining 1/2 cup of sugar and pour it all over the biscuits in pan. 6. Bake at 350 degrees for 28 minutes, or until golden brown. 7. Let the bread cool in the pan for 10 minutes before removing. To remove, tip the bundt pan upside down onto a serving plate, give it a pat or two if needed to release the bread, and top it with the eggnog glaze. 1. Stir together all the ingredients until evenly combined, add more eggnog if you’d prefer a thinner consistency. Drizzle the eggnog glaze over the monkey bread. 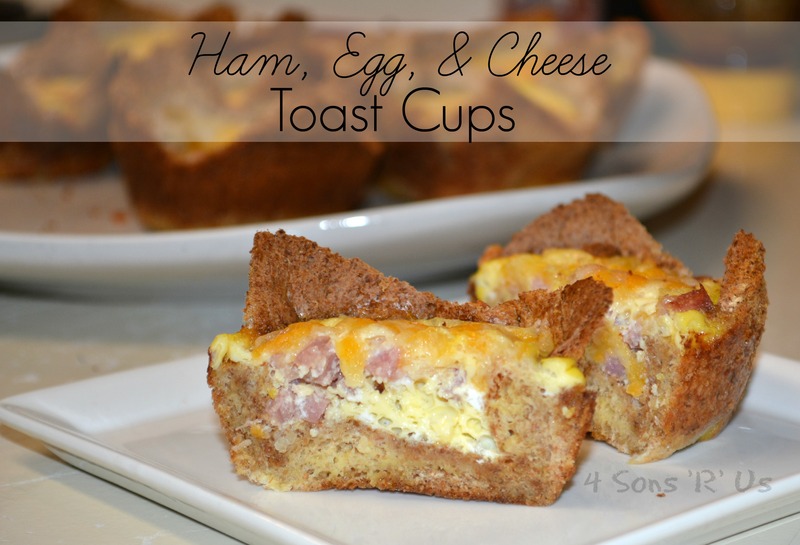 Posted in Holidays, Recipes and tagged breakfast, brunch, quick and easy, snack. Bookmark the permalink. One night, my defenses had been systematically whittled down enough that, I let the youngest son have the dregs of my Mountain Dew Voltage. It was in a glass and he didn’t know exactly what it was other than some kind of soda, which he’s rarely allowed to have. Aaaaaaaaand, that is why you my son are not allowed to do The Dew. Like, ever. Protein & oats however, make much sturdier fare (and a better breakfast option) for any real-life Super Heroes in-training. And pumpkin pie is such an obvious Fall flavor. Combining the two was a no-brainer. And overnight oats? They’re quick and easy enough for Super Heroes of any age to whip up, or just to lend a helping hand. Throw everything in a mason jar (or pretty much any seal-able container your heart desires), give it a good stir, and let it sit overnight while you sleep. When you wake up? 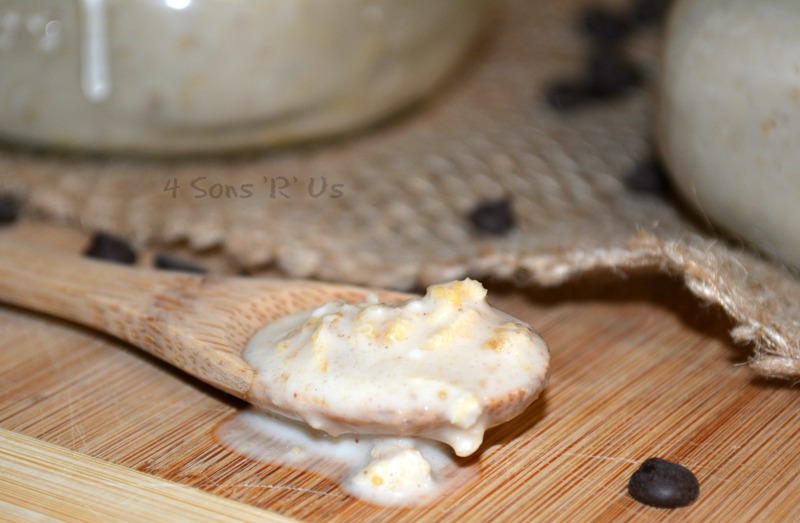 A protein packed, breakfast that tastes like dessert will be waiting to greet you. Add all of the ingredients to a mason jar or other plastic container with a tight-fitting lid, and stir everything until evenly incorporated. Cover and refrigerate for 8 hours or overnight. Serve cold. *To fit in with dietary restrictions or requirements, you can use a sugar alternative such as Splenda or Truvia in place of the sugar, and you can also sub Gluten-free oats if necessary. 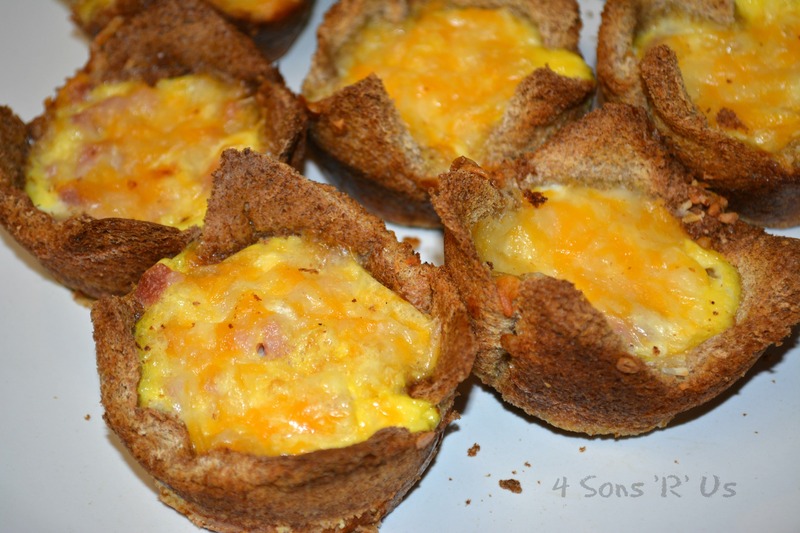 Posted in Recipes and tagged breakfast, diabetic, healthy, quick and easy, snack, vegetarian. Bookmark the permalink. 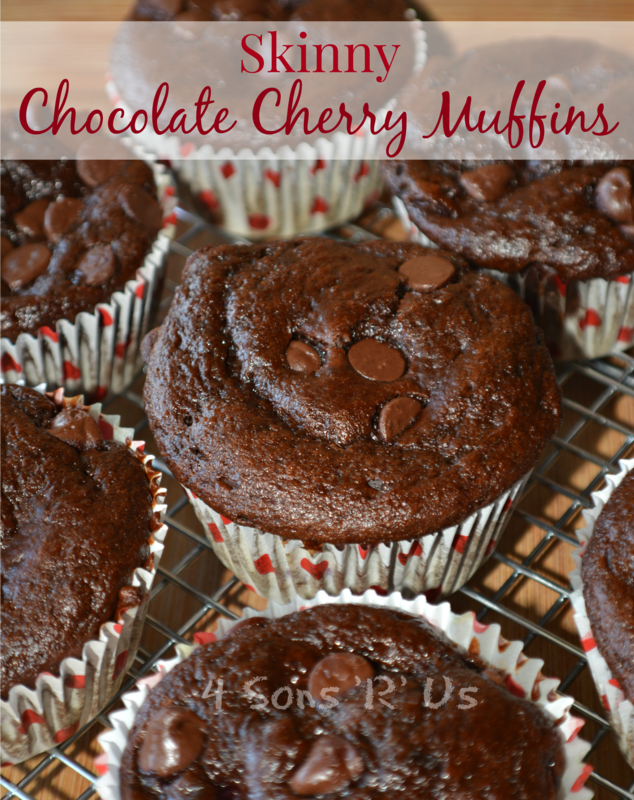 Sweet, dark cherries stirred into a deceptively ‘skinny’ chocolate batter that’s then baked into healthy muffins that are sinfully delicious. With these you can have your cake and eat it too, AND still feel good about it. Pair these with a glass of milk for an indulgent start to any morning. Or enjoy them with a glass of milk (or wine, just sayin’!) for a sweet treat that’s a great ending to any day whether it’s for dessert, or a not-so naughty midnight snack. Prepare a cupcake/muffin tin by spraying the cups generously with non-stick cooking spray, or you can use cupcake liners (but they won’t pull away clean from the baked muffins). 2. In the bowl of a stand mixer, combine the applesauce, sugar, honey, egg whites, greek yogurt, and vanilla extract, mixing them until the batter is evenly combined without any lumps left. 3. Sift together the flours, cocoa powder, salt, baking soda, and baking powder together. Slowly stir in the wet ingredients, just until everything’s evenly incorporated, but also making sure not to leave any flour pockets lurking behind. Gently fold in the cherries using a spatula. 4. Divide the batter evenly between the 12 muffin cups, filling them as close to the top as possible. Bake the muffins at 425 degrees for 5 minutes then, keeping the muffins in the oven, reduce the heat to 350 degrees and continue baking for another 15 minutes. Insert a toothpick into the center of one muffin. If it comes out clean, they are done. If not, bake for about 2 more minutes. 5. Remove the pan from the oven and allow It to rest, cooling for about 3 minutes, then carefully remove the muffins from the pan and transfer them to a wire rack to cool completely. Muffins stay fresh in an airtight container at room temperature for up to 5 days. 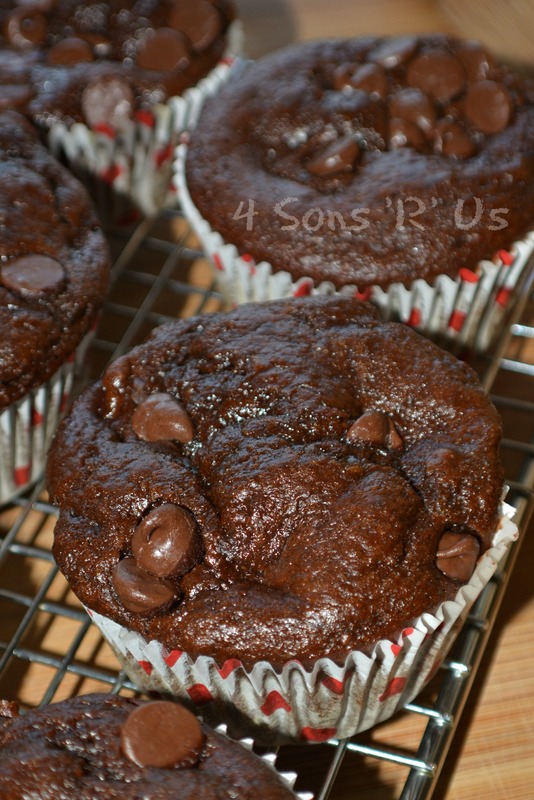 * These muffins also freeze well, making a great grab and go breakfast or snack option. Just put them in the refrigerator the night before to thaw, and pop them in the microwave in the morning to reheat. 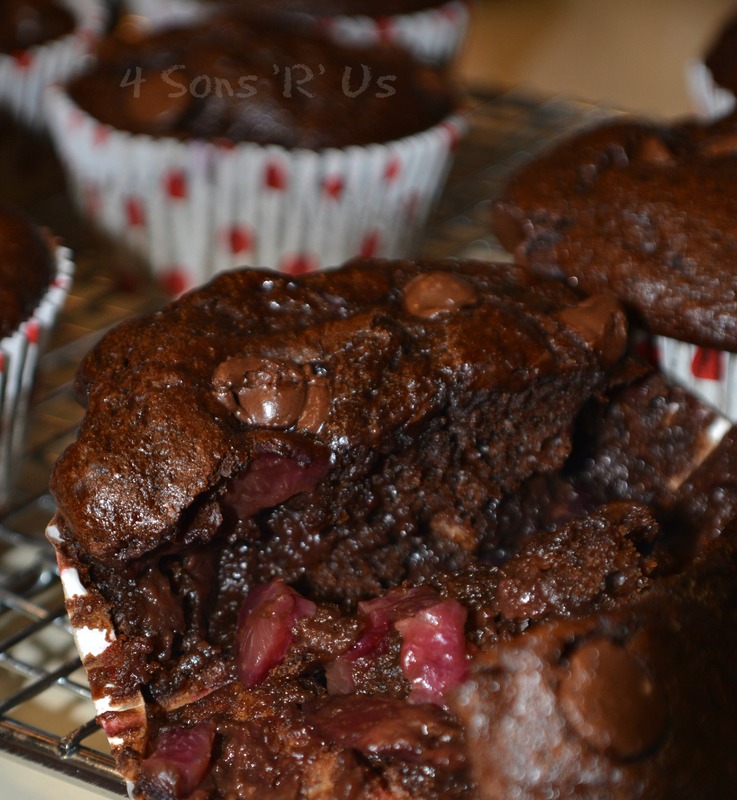 Posted in Recipes and tagged breakfast, brunch, dessert, freezer cooking, healthy, snack, vegetarian. Bookmark the permalink. Breakfast and Brunch menus usually have a lot to offer, and the range of options for those meals is pretty varied. But when your a busy parent with hungry children to feed in the am hours, the early morning menu is usually pretty basic. And after a while, even when you have the time.to whips up some eggs, and butter a few slices of toast, even that can get a bit boring for everybody over time. So here’s one of my favorite ways to shake things up when we’re in a rut. This is basically just your classic scrambled eggs with a side of toast. But all mashed together; and with cheese and some ham for extra flavor and protein. Ya know, basic. But ( again ) with cheese, because cheese makes everything better. I see it as an easy and convenient way to serve breakfast on the weekends (or on busy morning with a quick reheat) and the kids see it as impressive, and oh-so fancy. They love it, and I always love the giggles I get over them considering us high-falutin folk with our own cuisine. Don’t stop here though. Ham and cheese may seem like an obvious choice to fortify your eggs with, but the options are endless. Play around with different cheeses or add any toppings that you would normally add to an omelette or frittata – peppers, broccoli, mushrooms, green onion, tomatoes – there is no right or wrong way! One thing’s for sure, these are sure to cure any case of breakfast boredom. 1. Cut crusts off of the bread and roll bread flat. 2. Butter each side of the bread and place one piece in each muffin tin to form a toast ‘cup’, gently pressing the bread against the sides of the tin and the centers down. Patch any holes you see with another small piece of buttered bread. 3. Combine eggs, garlic powder, onion, salt, and pepper and beat with a whisk until frothy. 4. Pour some into each muffin tin, filling the bread cup approximately 3/4 of the way full. 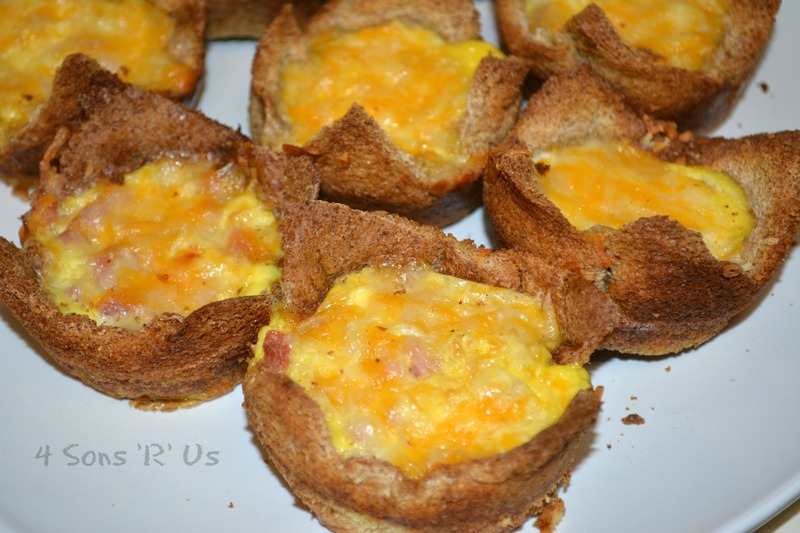 Add a few cubes of ham to each toast cup and top with shredded cheese. 5. Bake the at 375 degrees for approximately 15 minutes, or until the eggs are set. These are freezer friendly, so if you’re trying to get a jump start on weekday breakfasts make a batch, let them cool completely, remove them from the tins and freeze in a zip locking storage bag until ready to use. A quick re-heat in the microwave on a busy morning, and you’re good to go. Literally. Posted in Recipes and tagged breakfast, brunch, freezer cooking, healthy, quick & easy. Bookmark the permalink. Ive made no secret of the fact that I’m not a morning person. Like, at all. And nobody else around here is either. If we’re lucky, were rushing out of the house headed to who knows where for the day, hopefully with enough time leftover to grab a hot cup of coffee. And if I ( or any of my progeny ) are lucky there might be some grab and go yogurts I remembered to buy on my last grocery store run, or there’s a freezer breakfast sandwich, or a breakfast burrito that we can take to heat and eat later. 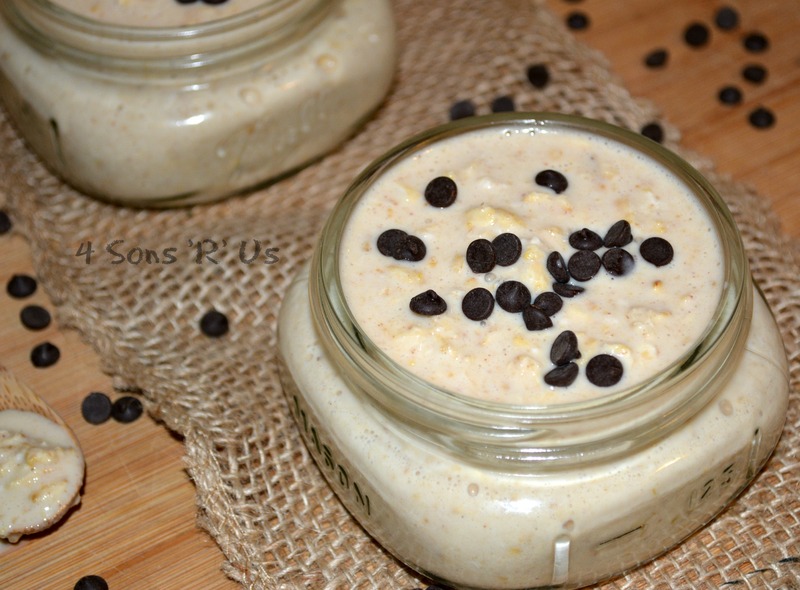 And here’s where I tell you all about the beauty of overnight oats. There is no cooking required! None. Nada. Simply stir together your ingredients the night before, store them in the refrigerator in an airtight container, go to bed, and wake up with not only a tasty treat waiting for you, but one that’s healthy too. Does it get any better than that? And they’re a great change of pace from hastily grabbed yogurts or cold bowls of cereal. 1. Mix all the ingredients together until evenly combined. 2. Divide between 2 small bowls, mugs, or mason jars. Cover and refrigerate overnight (or for at least an hour (or more) so the oats soften and absorb the liquid). 3. Enjoy cold, or microwave for 30-60 seconds to enjoy warm. Top each prepared bowl with a sprinkle of chocolate chips and/or a small scoop of peanut butter (totally optional). Posted in Recipes and tagged breakfast, brunch, healthy. Bookmark the permalink. Oh my word. You guys! This right here. These pancakes right here. These are breakfast pancake heaven. Even better? 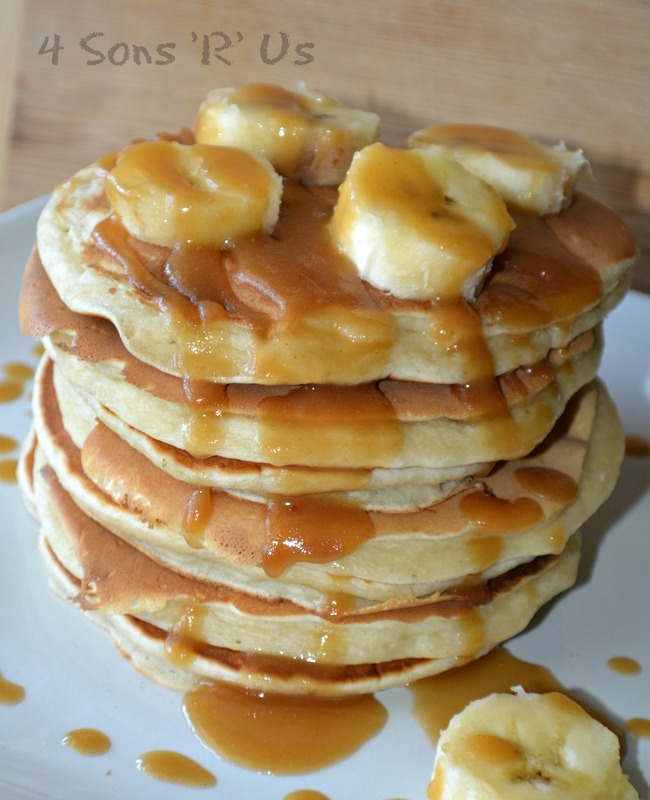 They’re breakfast pancake heaven topped with peanut butter sauce. Have you heard of Jack Johnson? Have you heard his song ‘Banana Pancakes’? Everybody plays hooky once in a while, right?? 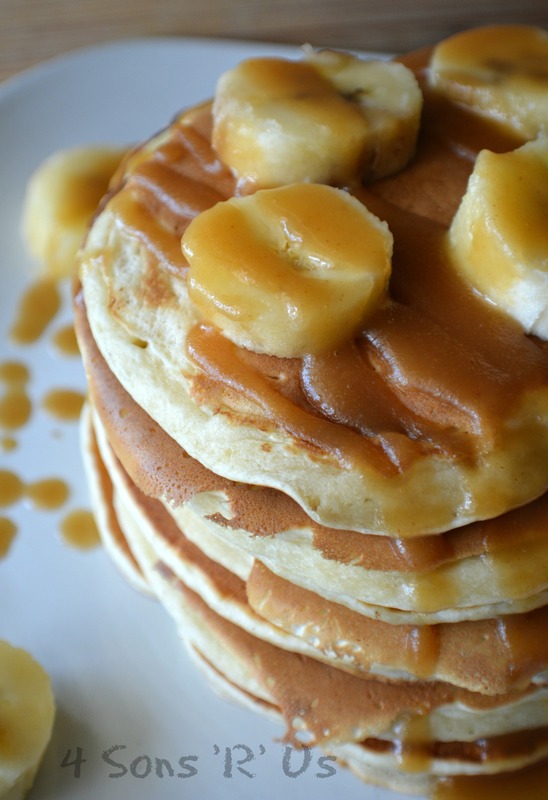 And a fluffy stack of banana pancakes drizzled with homemade peanut butter syrup are a must for any day of serious R&R. On another note, the kids call these the Elvis pancakes. I may or may not have mentioned a few thousand times that the pb & banana sandwich was his favorite. Along with various other random tidbits about ‘The King.’ I also may or may not have an entire library of books on the man, and my three year old self may or may not have been convinced that I was fated to marry him, regardless of the tiny hiccup of him being dead and all. 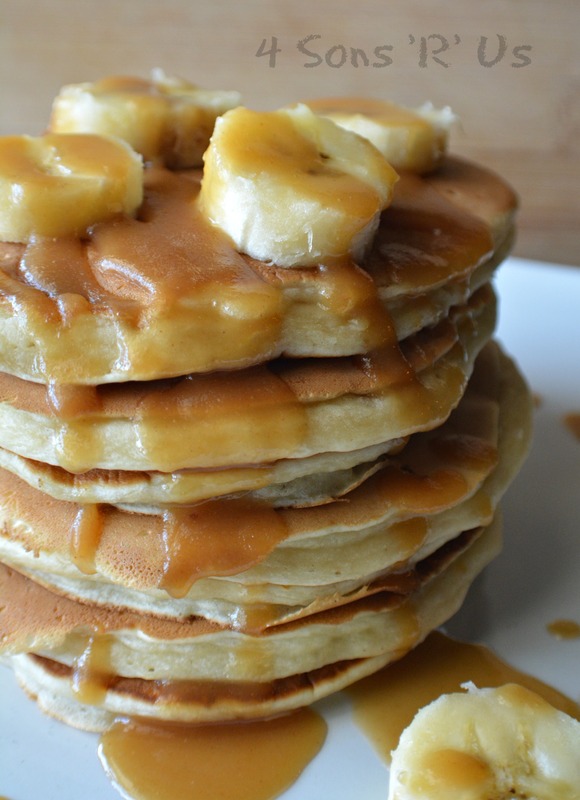 So, banana pancakes WITH peanut butter. They’re good grub fit for just about anybody, from the working man to The King. 1. Combine all of the dry ingredients in a medium mixing bowl. 2. In a separate bowl, add the banana and wet ingredients, mashing and mixing them together until all are evenly combined. 3. Combine the dry and wet ingredient together in one bowl, stirring until evenly incorporated. It will be lumpy and somewhat thick. 4. Pour about 1/4 cup of batter into the pan/ griddle for each pancake. 5. Heat until bubbly on top, flip and cook until golden brown on each side. 1. Combine all the ingredients in a small saucepan. Heat until boiling. Let cool slightly, and drizzle the sauce over the pancakes. Top with extra banana slices, if desired. Posted in Recipes and tagged breakfast, brunch. Bookmark the permalink.